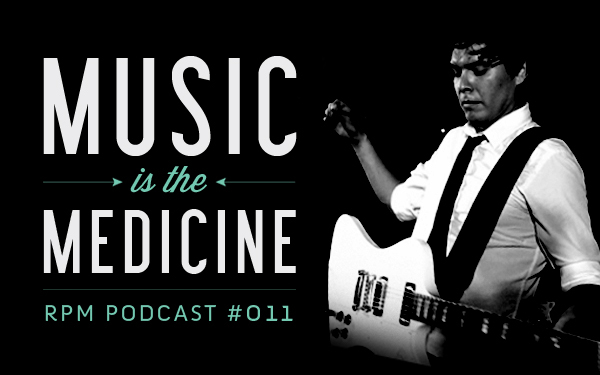 In our 11th episode, we talk with one of the hardest working musicians on Turtle Island – Mohawk blues-rocker Derek Miller. On previous episodes of the RPM podcast, we’ve heard from a wide variety of musicians from all kinds of different genres from hip-hop to country, from blues to electronica to new traditional. They’re all proud creators of what we at RPM like to call Indigenous Music Culture. A huge part of what inspired RPM in the first place was Derek Miller – namely his story as told in the documentary film Music is the Medicine. So it’s about time we get to know him a little better. Our host Ostwelve talks with Derek about his musical journey, from listening to his mom’s records on Six Nations reserve, to recently winning the APCMAs for Best Male Entertainer and Best Songwriter of the Year, to what Derek calls the metaphysical nature of music. We’ll also kick back and listen to some of that sweet medicine he makes with his guitar. Audio clip from the documentary film Music is the Medicine used with permission from MIM Productions Inc. For more information on the film, visit musicisthemedicine.ca. I love your interviews this is so awesome. I love your music and your music inspiring my sons…especially my 3 year old son Raphael. He sure loves your music too ….